The first tea bag patents date back to 1903, and were made from hand-sewn silk muslin bags. One story of its invention revolves around Thomas Sullivan, an American coffee and tea merchant. He sent samples of his products to his customer. The samples were packed in cans until one day in 1904, he decided it would be less expensive to send the tea samples in small, hand-sewn silk bags. The orders then began pouring in, not for his tea, but for his tea bags. The small bags had made brewing easier. 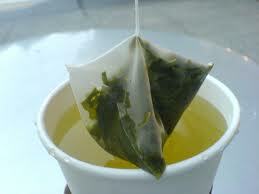 Modern tea bags are usually made of heat-sealed paper fiber invented by William Hermanson. Today over half the tea consumed in American homes is made with tea bags. Humans have experienced pain since man has been alive. History shows that for thousands of years, man has used the bark of a willow tree or other plant extracts to relieve pain. In the 1800s, scientists discovered that it was salicylic acid, an active ingredient in the bark, that relieved pain and reduced fever. However, taking salicylic acid left patients with severe stomach and mouth irritation. In 1853, a French chemist named Charles Gerhardt mixed another chemical with the acid and produced good results, but the procedure was difficult and took a lot of time, so Gerhardt didn’t pursue it. Forty-one years later, a German chemist working at Bayer AG, named Felix Hoffman, was searching for something to relieve his father’s arthritis. He studied Gerhardt’s notes and found acetylsalicylic acid (now known as aspirin). The American patent held by Bayer expired in 1917, leading to many companies releasing different brands and products. 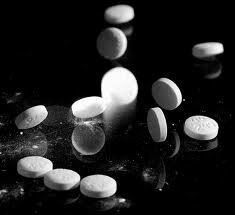 Today over 20 billion aspirin tablets are used in America a year, making it the most popular drug! It has been used to prevent heart attacks, strokes, slow the growth of cataracts, cancerous tumors, help manage diabetes, and especially to lessen the pain of headaches. I bet Charles Gerhardt would get a BIG headache if he realized the mistake he made by not following up on his discovery! Alexander Fleming was a 47-year-old scientist who studied germs. In 1928 he was experimenting in his laboratory at St. Mary’s Hospital in London, England when he set one of the samples containing staphylococci bacteria beside an open window. Later when he looked at the sample, he discovered some mold that had been blown in through the window and contaminated the bacteria. Instead of throwing the sample away, Fleming examined the spoiled sample under a microscope, and saw mold growing on the bacteria. However, there was a clear zone around the mold where the bacteria were being dissolved. This discovery gave the world penicillin. Howard Florey, Ernst Chain, Norman Heatley, and other researchers at England’s Oxford University developed it into the life-saving drug we use today. Andrew J. Moyer discovered in 1941 how to make penicillin in large quantities to save millions of lives. During World War II, the United States government asked several large companies to make a synthetic rubber for airplane tires, rafts, gas masks, boots, and other things out of silicon. They opted for a material besides rubber because Japan had invaded rubber-producing countries, and there was a shortage in the United States. In 1944 at General Electric, James Wright, an engineer working on the project, added boric acid to silicone oil. It produced a gooey, bouncy material that would bounce when dropped, could stretch farther than regular rubber, would not collect mold, and had a very high melting temperature. However they couldn’t figure out any use for it, and they went back to their rubber replacement research. Then, in 1949, four years after the war ended, a man named Peter Hodgson, a marketing consultant to a toy storeowner, put the goo in plastic “eggs” and renamed it “Silly Putty.” After selling over 250,000 eggs in three days, Hodgson was almost put out of business, because in 1951 during the Korean War, silicone (a main ingredient) was put on ration. A year later the restriction on silicone was lifted and the production of Silly Putty resumed. He began selling it as a toy, first to adults, then several years later, to children. It ended up being one of the first “fad” toys in America. Today, from copying comic strip prints to removing animal hair from furniture, the uses of silly putty are endless. In 1943, during World War II, an engineer in the United States Navy named Richard James was on a new ship’s trial run. As he worked, a torsion spring suddenly fell to the floor. 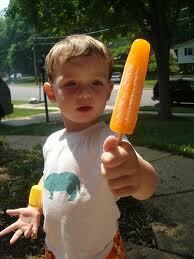 He was fascinated by how the spring flip-flopped. When he went home, James and his wife Betty made a long steel ribbon of tightly coiled steel into a spiral. They began selling the slinky in 1945. The James had difficulty selling Slinky to toy stores but in November 1945, they set up an inclined plane in the toy section of Gimbels department store in Philadelphia, and the Slinky was a hit! 400 units were sold within ninety minutes. In its first 60 years Slinky has sold 300 million units. 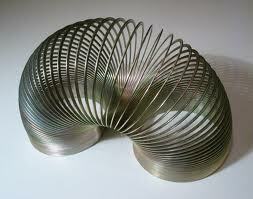 The original Slinky is still a best seller. The toy continues to delight and inspire creativity in kids and adults all over the world. In 1903, a French chemist named Edouard Benedictus accidentally knocked a glass flask onto the floor of his laboratory. 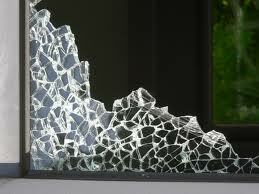 The glass shattered, but the broken pieces still hung together in the shape of the flask. Inside the flask he had put cellulose nitrate, a type of liquid plastic, that had evaporated into a film on the flask. Soon after his discovery, Benedictus read a newspaper article about automobile accidents in Paris, and the many injuries caused by broken windshield glass. Automobile manufacturers only wanted to listen to ideas about things that prevented accidents, not preventing injuries, so they were not interested. When World War I started in 1914, manufacturers used Benedictus’s safety glass for gas mask lenses. After the glass had proven itself in military uses during the war, automobile companies began using it for car windshields. Post-It Notes were a mistake as well. In 1970, 3M research laboratories were trying to find a strong adhesive. Spencer Silver developed a new adhesive, but, instead of being super strong, it was super weak. No one knew what to do with it so it was put aside. Four years later, another 3M scientist named Arthur Fry found that his bookmarkers in his hymnbooks kept falling out. Remembering Silver’s adhesive, he tried it on his bookmarks and discovered a marker that would stay in place, yet lift off without damaging the pages. The yellow color was chosen by accident; a lab next-door to the Post-it team had scrap yellow paper that the team initially used. 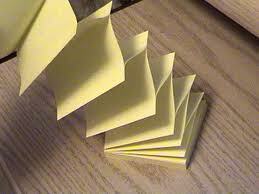 3M began distributing “Post-it Notes” nationwide in 1980. Today they are the most popular office products available. Have you ever walked through a field and then had to spend many minutes pulling off the burrs stuck to your clothing? This is what happened to George de Mestral, a Swiss engineer, in the 1940s. He took the cockleburs from his jacket and examined them under a microscope to find a maze of thin strands with hooks on the ends. He saw the possibility of binding two materials reversibly in a simple fashion with hooks and loops. It took him ten years of experimenting, developing the product of two strips of nylon fabric, and mechanizing the process. 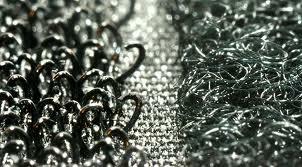 One contains thousands of small hooks and the other contains small loops. When they are pressed together, they form a strong bond. Some countries call this the “hook-and-loop fastener” and in the United States it is called Velcro. It was not popularly adopted until NASA used it on space suits and other uses. There are thousands of uses for Velcro thanks to George Mestral who, instead of being irritated by burrs, found them fascinating. So, the next time you are wondering about a better way of doing something, or you find something interesting that doesn’t quite match the purpose you set out to accomplish, take a fresh look. You may have the next great invention sitting right in front of you! 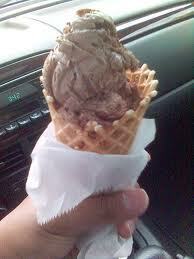 i like ice cream too. That’s soooo cool! 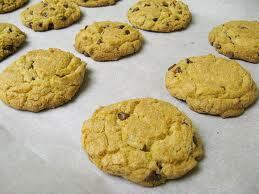 I’m glad those things were invented though because I can’t live without my chocolate chip cookies. Yum!